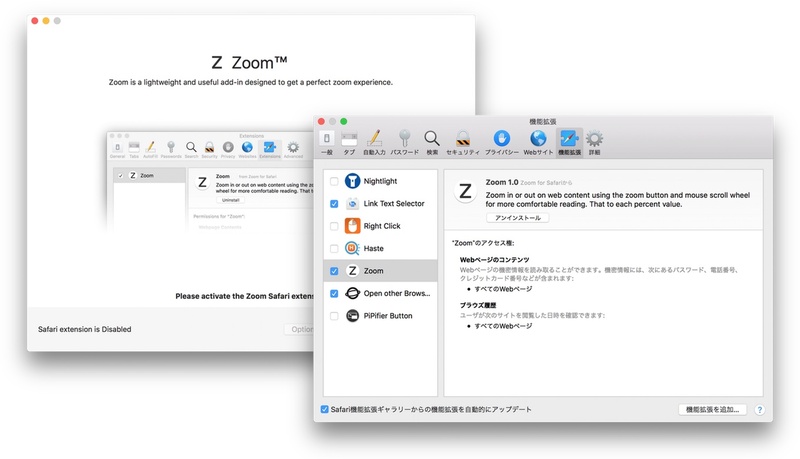 Webサイトの拡大/縮小値を設定＆保存しておけるSafari機能拡張「Zoom for Safari」がMac App Storeで公開。 | AAPL Ch. It helps you to zoom easily in and out a web page. Thanks to the slider and the zoom buttons. 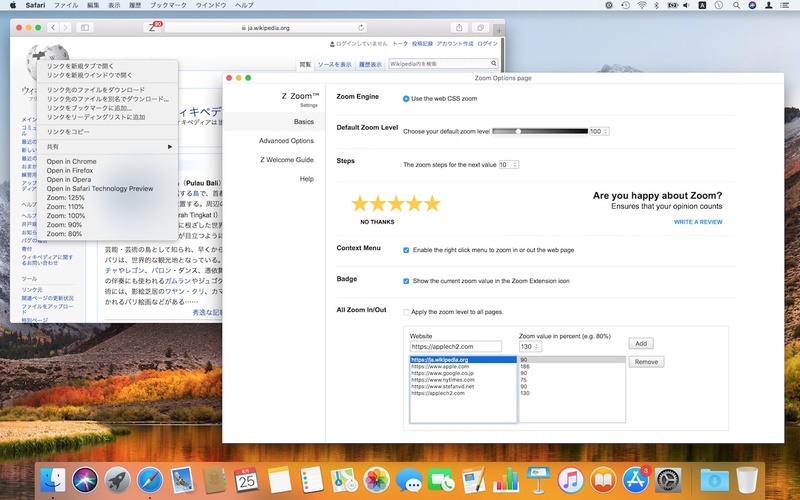 It’s the number one and best magnifying browser extension to customize the zoom value of that web page.